Instagram it is becoming the best commercial showcase for restaurants, and restaurateurs know. Having learned what the potential of social media marketing thanks to Facebook, as well as online advertising through Google, and a plethora of small promotional gimmicks in Arabian websites; It comes the turn to apply everything learned in Instagram. He Sauce is a Italian restaurant offering meals Casual visitors. Among the specialties of the house are the sauce (Italian word that refers to tomato sauce), grilled sandwiches, traditional pasta and Mediterranean salads. At present these dishes across North America join other less explored as squid, pickled olives, ricotta gnocchi or the tiramisí. What do all of these items in common? Each of these dishes are prepared with love, not only the ingredients and preparation techniques, but also by tradition and the Italian lifestyle. Where formerly a fast food chain was located, there is now a setting decorated with pictures and magazine clippings that illustrate important boxers, sport in which the Italian emigrants to America once had great participation. All details affect daytime bustle that exists in the local; compared to other restaurants in the area, Sugo is a restaurant mainly serves meals in which. Its strong point is comfort. It is perfectly located in one of the largest residential and commercial streets of the city Toronto. Bloor Street is dominated by small offices full of skyscrapers, buildings contemporary design and own ruckus of an urban main artery. At Sugo, Thus, no shortage passersby passing in front of your door. Nevertheless Sugo seem willing to do anything to promote your business. To date there have been three the unusual cases where the brand has been involved. First, in mid-November, They suffered public ridicule to badly cater the demands of accessibility for people with disabilities by networks. The origin of the problem was a question from Chris Stigus, they just wanted to know if the place was wheelchair accessible. A refusal by Conor Joerin, account manager Sugo Instagram, They followed a large number of messages indicating the obligation to accommodate guests in wheelchairs. The growing tension among Internet led to the answers of Conor denotasen a clear aggressive tone. So good its establishment was adapted to the regulations of the city on accessibility, Stigus said he was deeply hurt by some of the answers expressed during the discussion, a discussion that he never intended to take place. During an interview City News, Conor apologized stating that given the business benefits expenses would be, in any case, unjustifiable, as it would be required without tables, reforming the bathrooms and do work on the step input. If nothing had happened more, how to act Conor might have been overlooked. But soon came to the surface a story that reported on the promotional bad company practices. It all started on the page Instagram, where they labeled their location on nearby businesses: gyms, bakeries, art Galeries. The problem would come soon when the restorer begin geoposicionar local in places where fancy restaurants are in the area. 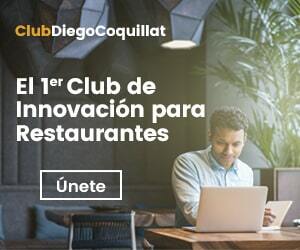 This ruse advertising online have been affected restaurants La Banane, Alo, want 101 and Terroni. The latter, a direct competitor of Sugo, would not stay silent. During a conversation between Sugo and direct message Terroni, this place, most famous for its pizzas, He requested that this behavior should cease. From the point of view of Conor, this fraudulent geolocation was made for fun and to draw attention. Far from keeping the issue out of the public, Conor would direct allusion to the conversation with Terroni in a publication in which they berated their criticism, and their little taste for pasta and seafood. Labeling methodology Instagram has not changed since. This strategy marketing social networking is more typical of the dark side, that that flirts with the thin line that separates the legal from the illegal: he marketing black hat. 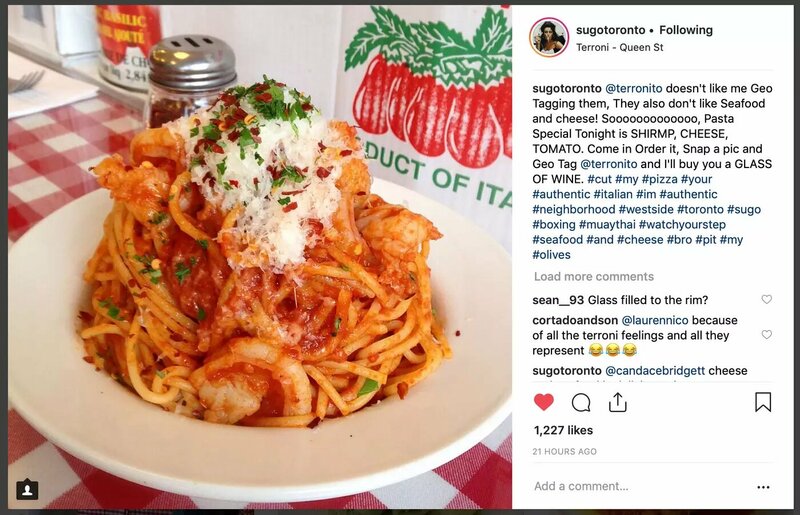 Nevertheless, considering all the stories have surfaced about Sugo Toronto in recent weeks, one wonders if the brilliance of a blackhatter or obfuscation of a chef with few ways which promotes these outrageous actions. The latest news in which they have been involved started on the right track but soon twisted. The chef of the restaurant chain Oliver & Bonacini, shared from your Instagram profile satisfaction with the food they had served in the Sugo, what a excliente sugo, Joseph Oliver UK, He replied he could not believe that was the true opinion of renowned chef. Oliver Joseph had left a bad review months ago on Sugo, referring to a gnocchi that left much to be desired. Conor again failed to control his emotions and ended hard taunting customer, including veiled threats, leaving the renowned local tatters. There advocates that any publicity is good, how bad it. It is not clear that this is one of those cases. If we are aware, However, that there are alternative methods with lower risks. When using Instagram for promotional purposes must be considered that are representing the brand image of the company. If you are not able to do it properly, it is better not to miss the opportunity and have a presence on the social network, or if it is imperative to have a profile on the social network, put these works into the hands of a specialist in the field, for example, a reputation manager online.